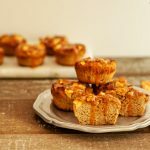 With low carb, keto, and paleo version, these gluten-free Caramel Apple Muffins are a sweet and delicious treat that is excellent paired with coffee or tea. 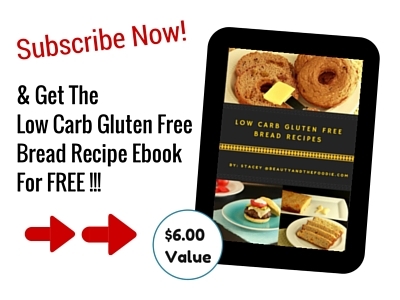 Caramel Apple Muffins Low Carb are tasty grain free muffins with a paleo version. 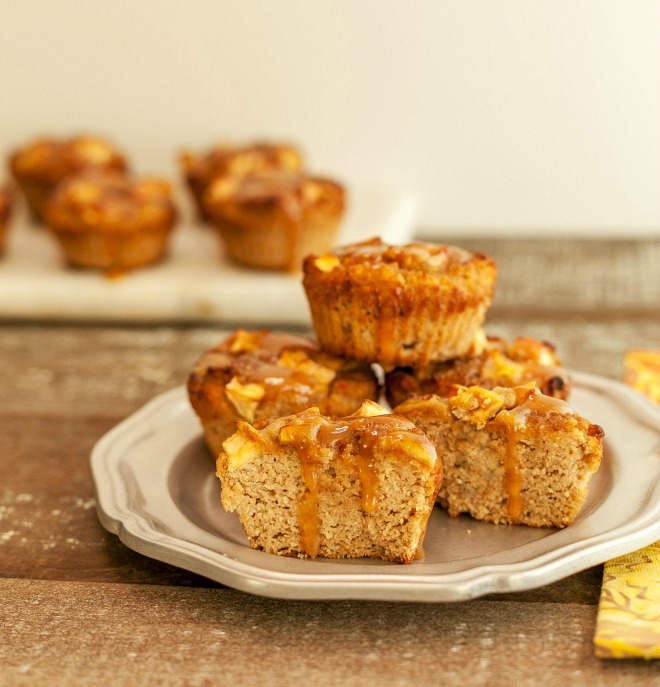 Cinnamon spice muffins with a baked apple and gooey caramel topping. I love caramel apples, but they are not low carb and not great for the teeth. 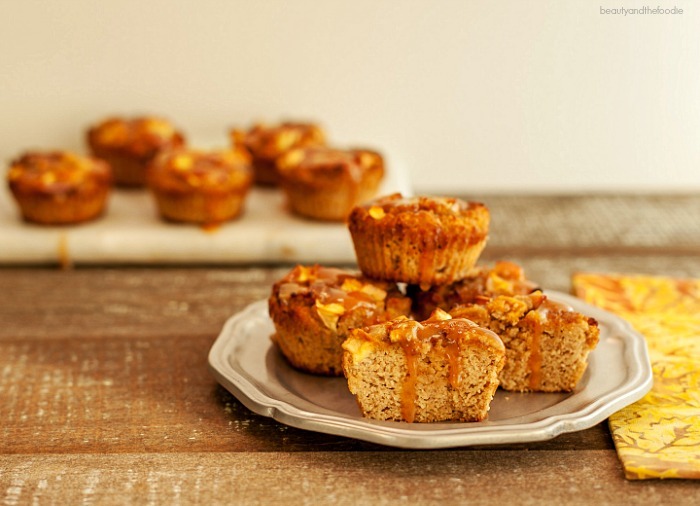 These muffins have the taste of caramel apple but without the extra carbs and the wrecked dental work. These will make your mouth very happy and keep you away from the dental office. Preheat oven to 375 F (190 C), and line or grease a muffin pan. In a large mixing bowl combine: Coconut flour, almond flour, 6 tbsp sweetener of choice, cinnamon, baking powder, and baking soda. Mix together thoroughly and be sure to break up any clumps. Set aside. In a medium mixing bowl combine: eggs, almond milk, applesauce, 2 tbsp melted butter, and apple extract or vanilla extract. Mix together thoroughly. Add wet ingredients to the dry ingredients and mix together thoroughly. Spoon batter into the muffin pan. 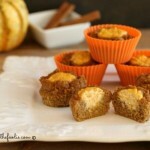 Chop ½ of apple into small pieces, and divide & place apple pieces on top of each muffin. In a small bowl combine: 1 tbsp sweetener of choice and ¼ tsp cinnamon. Sprinkle on top of muffins. Bake muffins for 25 to 35 minutes, or until muffins are done in center. In a small sauce pan over medium heat combine all the caramel sauce ingredients and melt and mix until bubbling. Remove from heat to cool a little and thicken. Drizzle the caramel sauce over the muffins. These are delicious.. just made them!!. Quick question.. do these need to go in the fridge? Or can they be left out in a ziploc bag? Debbie, Thank you for your kind words. I would store them in the fridge, and they can be reheated before serving. I just made these but used caramel extract instead of apple extract and oh my, delicious grins and giggles from my gluten free 9 year old! In fact we made another batch to serve at his class party tomorrow! Thank you for this amazing recipe! Jenifer, Awe, thank you so much. I love hearing that it made your little one happy 🙂 Your so welcome, and thank you for your very kind words. Where did you find caramel extract? I have not seen that before. These look incredible! 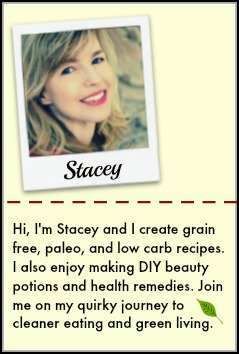 Love the site and all the amazing recipes. 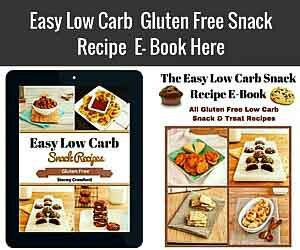 I JUST LOVE ALL OF YOUR RECIPES!, WHAT ABOUT A LOW CARB SUGAR FREE JELLO RIBBON SALAD RECIPE MADE WITH GRASS FED GELATIN & STUR FLAVORED DRINKS OR LIQUID FLAVORED STEVIA FOR THE JELLO FLAVORS PART AND A CREAM CHEESE FILLING FOR IN BETWEEN THE JELLO FLAVORS. Thank you so Much Kelly! My Mom used to make a jello strawberry and cream cheese layered dessert like the one you speak of. I forgot all about that recipe! Thanks for the great suggestion. I will add to the idea list. I used to love caramel apples when I was a kid, but I remember how hard it was to bite into them lol! 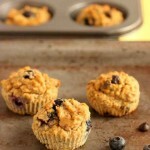 Love that these muffins have the same great taste, but with only 97 calories each! 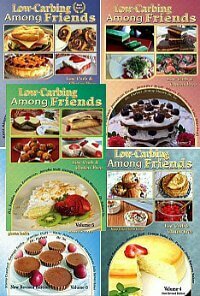 These look SO good – I can’t believe they’re low carb! YUM! 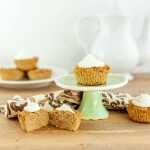 I’ve been wanting to try a muffin recipe that uses apple sauce and this is definitely the one! It’s not easy to find one that does not have a major amount of carbs. These look delicious! Such a great idea to use apple extract to add to the flavor. Need to try them! These look really, really good! This will be a family favorite. Thanks for sharing! Shared on Facebook and pinned!